Original ideas and new solutions emerge at the intersections of industries, between large and small companies, and across private, public and philanthropic sectors. Where startup entrepreneurs, corporate managers, designers, artists and the best technologists in the country meet and collaborate, ground-breaking innovations are the essential outcome. Being serious about prototyping the future of business, we need to connect not only startup entrepreneurs, but innovators from the most diverse backgrounds. An incubation and acceleration program or a beautiful coworking and event space is just not enough to really prototype a new economic system in Zurich, Switzerland and globally. With over 5000 startups and SMEs in the Impact Hub network, we are delighted to welcome Engagement Migros, Swisscom, Credit Suisse, SIX and AXA Winterthur in our community in Zurich. In the last twelve months, we have worked intensively with innovators on all levels, from executive board members to corporate interns, to develop a long-term, multi-company partnership framework that demonstrates real commitment for change. Over the next five years, we will build prototypes like digital business models, innovative and sustainable products and services, internal innovation communities, cross-boundary collaboration projects and purpose-driven leadership approaches. While all partners have committed to join our mission to prototype the future of business, each corporate partner also has its distinct agenda. Together with Engagement Migros, we launch the Pionier Lab to support cultural and creative projects for societal change. 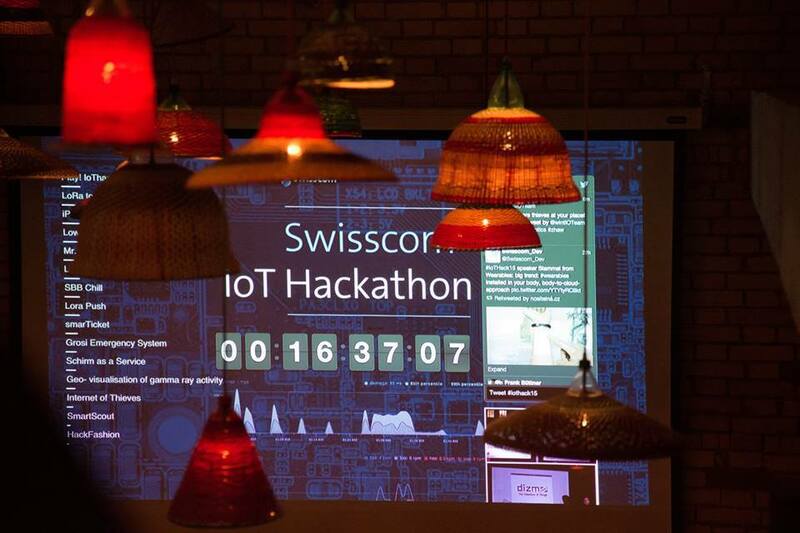 Swisscom and Impact Hub ran Switzerland’s largest IoT-Hackathon with over 100 participants building technology with hardware and software solutions. Its winning project, Grosi Alarm, is a tracking watch for dementia sufferers, using geofencing to minimize data collection and thus enabling more freedom to the user. 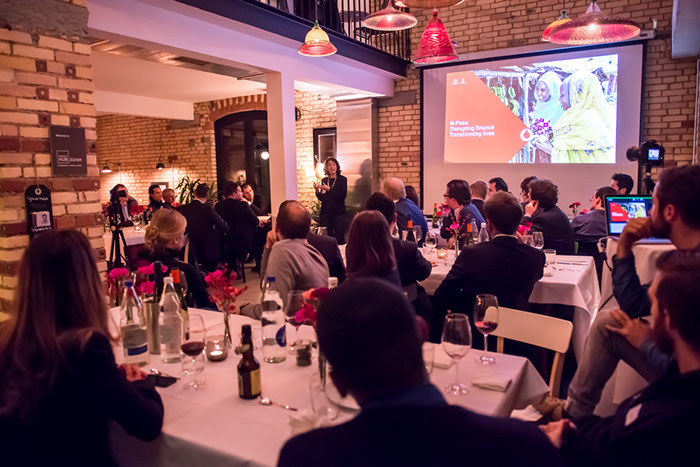 Credit Suisse and SIX, with Swisscom, Zürcher Kantonalbank and PostFinance, partnered with us for Disrupt Finance 2015, our flagship event to kickoff the fintech community. During Disrupt Finance, entrepreneurs and corporate executives discussed future developments in block chain, payments and other areas of finance, while we listened to the keynotes of Dr. Urs Rüeggsegger, Group CEO of SIX, on fintech in Switzerland and Vodafone’s Claire Alexandre on the extraordinary story of M-Pesa. Finally, AXA Winterthur has announced this week to intensify their partnership with us. Since the beginning of Impact Hub Zürich in 2011, we have collaborated with AXA Winterthur on innovation and sustainability and we are proud to strengthen this partnership over the next three years. In addition to individual objectives, all five corporate partners intend to build stronger relationships with their peers as well as with entrepreneurs in our community. Startup projects can benefit from the opportunities and scale of these large, multinational companies. And corporate managers become active community members leveraging not only the potential of 600 members at Impact Hub Zürich, but reaching out to more than 12’000 entrepreneurial people in over 80 Impact Hubs. There is just no other network of this global reach with a strong presence in Zurich and Geneva for entrepreneurs, techies, artists and innovators to connect. We look forward to prototyping the future of business and society together. If you are passionate about prototyping the future of business together with our five corporate partners, we might have a job offer for you. Get in contact with Loic to find out more.